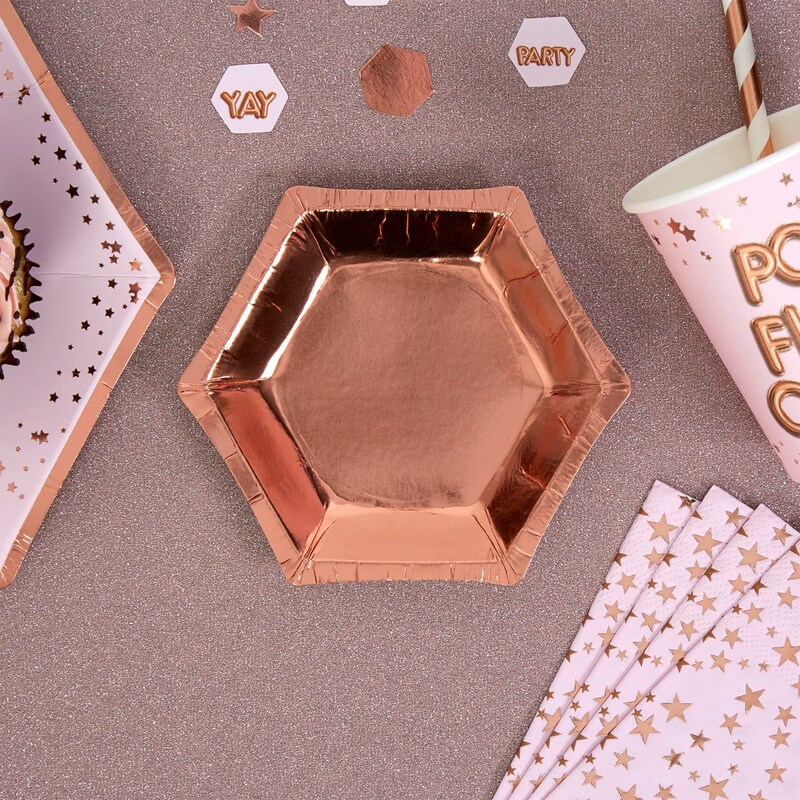 Add some subtle shimmer to your celebrations with these stunning rose gold foil plates. The small-size plates make a useful addition to your party supplies, providing a stylish way to serve nibbles, canapés or desserts. They complement the other pieces in our Glitz and Glamour collection. Each pack contains 8 Plates, measuring 125mm.